Dove home Care agency has been offering award-winning “live in care” service for over 25 years. “Live in care” is a term which encompasses supporting you or your loved ones, to continue to lead stress-free lives in the comfort of your own home – in Birmingham and the West Midlands and throughout much of the UK. There are occasions in our lives where our loved ones need care and support in getting through their day to day activities sometimes due to health-related issues. 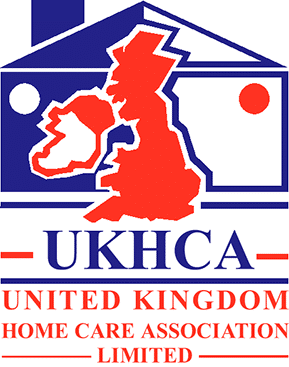 Live in care or Carer at Home means a provision of care and support at the comfort of your home. A trained carer generally visits or stays at your place and provides all the necessary care and support within the comforts of your home. One of the many nice things about live in care is the comfort and familiarity of your own home with a full-time live in carer who is professionally trained and experienced and providing all the care and attention. Our carers normally work on a schedule as required and operate with complete ease and flexibility. Care delivered at the comfort of your home. Allows people under care complete flexibility and support to carry out these activities. It allows people under care to maintain their lifestyle and daily routine works. It makes life calming, carefree, soothing and stress-free. Familiar Surroundings: Care at home helps you to stay in comfortable and familiar surroundings, in the comfort of your home. Independence: A care worker often works around customers’ requirements and can undertake tasks such as taking people under support out for shopping etc. Personalized Care: A dedicated carer provides personalised care and comfort to the people. Benefits for the Family: Caring for a spouse, parent or family member can be challenging at times without proper knowledge or instruction. Our trained carers ease the burden on the family and can provide accurate comfort. One to One Care: Live in care offers comfort and customised care as per customers’ requirements. This extra attention means the highest level of care can be administered, and a greater relationship between carer and patient can blossom. Our trained carers are handpicked to match your customers’ requirements and expectations. Initially customised requirements are collected and matched with the right carers.